I pondered for a moment how life itself is serendipitous, unknown for the most part, with blank pages for chapters that can never fully be known until their writing. 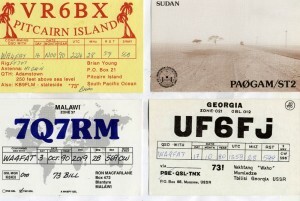 And then I came across a domestic card sandwiched between Sandwich Island and The Republic of Georgia – a QSL from WB9VTF. Notable about this card, aside from the fact that it was a lone US card in a host of DX, was the photo on the front of a handsome young operator, sitting at the desk of his shack, sporting a mustache that likely resembled my own at the time. 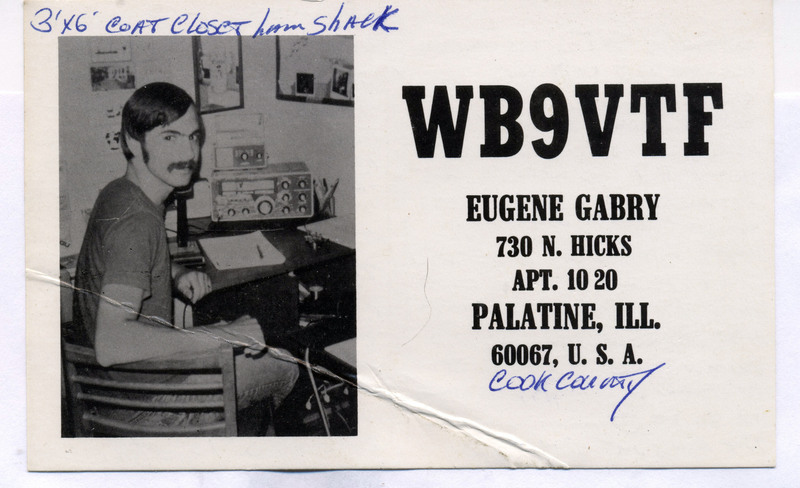 I read his comments on the reverse and noticed the rig for this particular contact was a Heathkit HW-7 running only 2 watts to a mobile whip antenna, and that the operator had just recently married, his new life now allowing only a closet’s worth of room for his shack. I wonder if this guy is still around, I pondered, for no particular reason. 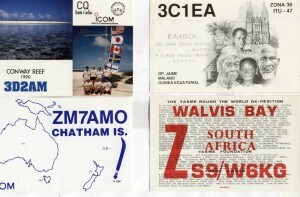 Here’s a little something to put a smile on your face today — your QSL from a contact with me in 1980! I wasn’t prepared for his reply. Thanks for the memory, and smile! 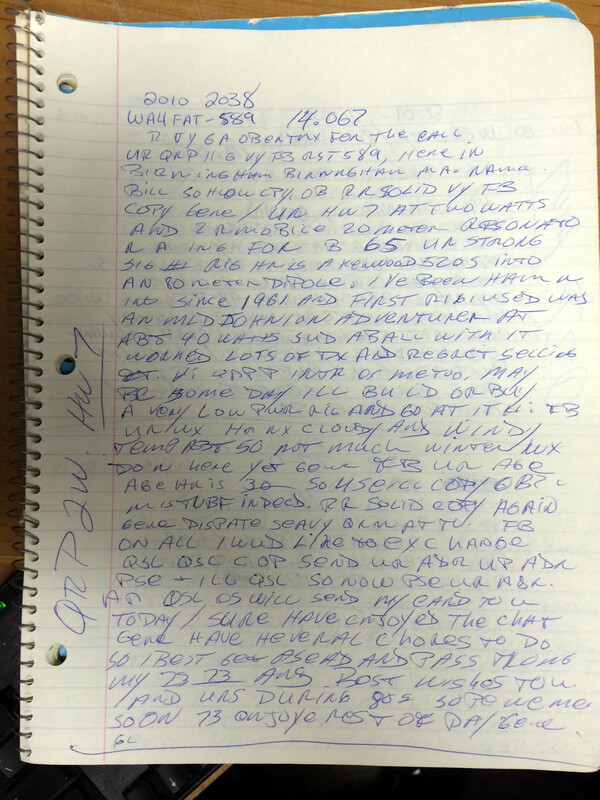 After pulling out my old log book and reading what I copied during the QSO, that QSO came back to memory! I didn’t make a lot of contacts with that rig, but had a blast playing on the bands with it! Here are a few pics for your memory! I’m still using my original straight key that I started with in 1976. Mostly on straight key night, and to tune the manual tuner!! And included in Gene’s reply was a scan of the original notes from that very contact some 30 years ago, and the QSL card he received from me as well! Wow, Gene … just Wow! 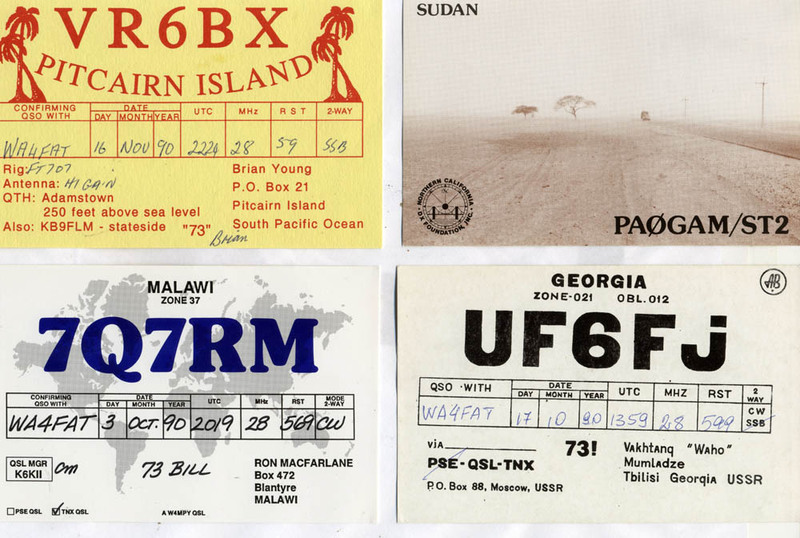 Who in the world maintains their QSO notes from over 30 years ago?! 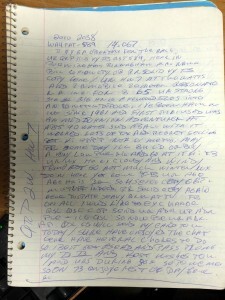 Just spectacular to read your copy from me, back when I was only 30 years old too. I think my ragchews of today sound surprisingly similar as I always try to put some meat on the bone of a QSO. 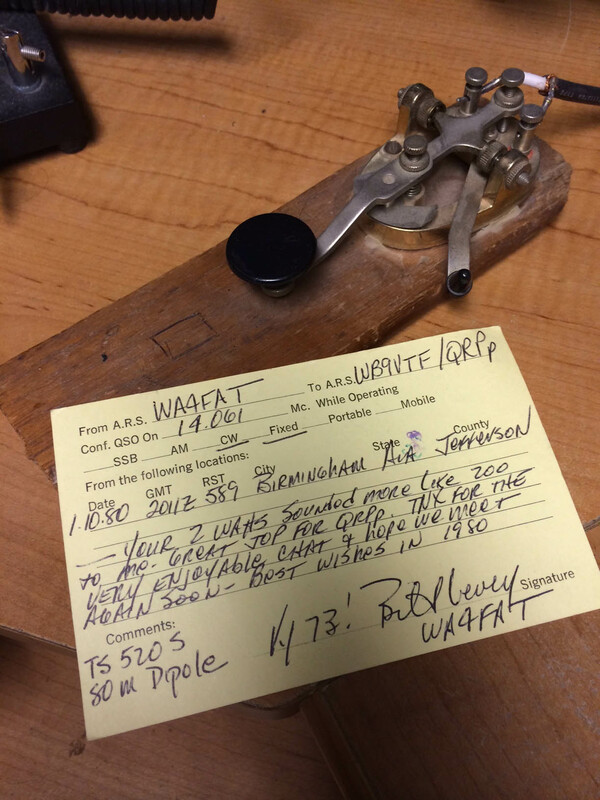 Chats on-air are always so much more rewarding to me when the operator shares something about himself … his interests outside radio perhaps, or his love for his dogs, or his latest experiments with antennas or QRP. I’m not always given the chance to broaden the topic during every CW contact, but I do so enjoy those exceptions. And what I take from this amazing exchange with Gene is something my dear Mom has always shared – that you can never give away a good dead that it doesn’t come back to you 10 times over. Thank you, Gene, for reaffirming what I have always known. Life is good, and nothing if not magic!